Rye Town Council was told on Monday that its Neighbourhood Plan is progressing through the lengthy system of checks and approvals required by the legislation before it can be voted on in a referendum of Rye residents. 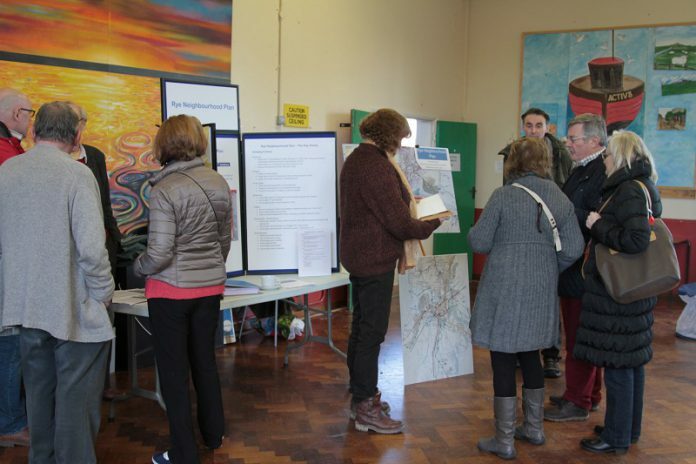 Anthony Kimber, vice-chairman of the Neighbourhood Plan Steering Group, said: “The examiner is now in the driving seat and will consider the plan and any comments made in a recent consultation”. “We think” he said ” that it conforms to all necessary policies”. The examiner may, though, want clarifications and/or changes, and may hold hearings it he feels it necessary. However time is passing and the referendum may or may not be held in May to coincide with elections for both the Town Council and the Rural District Council.